Join us for a night featuring musical selections from the legendary composer's most iconic film scores with a 35-piece orchestra from the Richardson Symphony Orchestra performed in the theater paired with the two separate film showings: HARRY POTTER & THE PRISONER OF AZKABAN and INDIANA JONES & THE LAST CRUSADE. The two sets from the symphony feature different pieces and will include selections from a variety of films featuring the signature scores of Mr. Williams and not just music from the two films shown. “It goes without saying that John Williams is considered to be one of the greatest film composers of all time, if not the greatest. As of 2014, Mr. Williams holds the record with the most number of Oscar nominations in the Best Musical Score with 43 nominations with 4 wins and likely counting. In his career spanning more than six decades, he has composed some of the most popular and recognizable film scores in cinematic history, including JAWS, STAR WARS, INDIANA JONES, E.T., CLOSE ENCOUNTERS OF THE THIRD KIND, JURASSIC PARK, HARRY POTTER, SUPERMAN, SCHINDLER'S LIST, SAVING PRIVATE RYAN and many more—all scores that movie lovers like us hum without even thinking about it,” said James Wallace, Alamo DFW creative director. The Richardson Symphony will have approximately 35 musicians involved in the performances before the films. This will include all strings (violin, viola, cello and bass), all brass (French horn, trumpet, trombone and tuba), woodwinds (flute, clarinet, oboe and bassoon) and percussion (a variety including timpani). 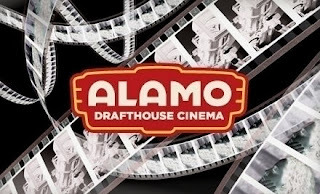 “Our continued collaboration with the Alamo Drafthouse is important because it helps the symphony reach a much broader and more diverse audience as it increases our exposure throughout the community,” said Clay Couturiaux, Richardson Symphony Orchestra’s music director and conductor. “The hope is to gain a whole new fan base for the orchestra through the exposure at Alamo. Music plays such an integral role in film. It adds to the plot, builds suspense, helps to define character and creates atmosphere and emotion. Imagine watching the movie JAWS without the music track,” concluded Couturiaux. The RSO was founded in 1961. Maestro Clay Couturiaux is the only the third conductor of the orchestra and is now in his second year. He is also the Music Director and Conductor of the Monroe, Louisiana symphony and is Assistant Director of Orchestral Studies at the University of North Texas.